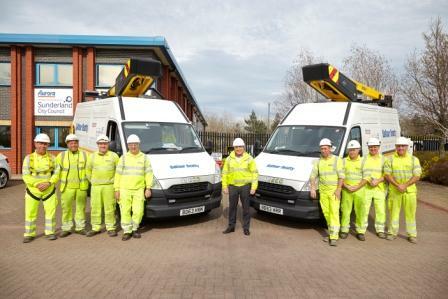 Aurora is the appointed Asset Management Contractor for the Sunderland Street Lighting and Highway Signs PFI Project. The project comprises of a five year Core Investment Programme and a twenty year Term Maintenance Programme. The Core Investment Programme involved the replacement of 31,120 street lighting columns and 4,600 highway signs in accordance with the latest European standards. The columns were at best 15 years old but mainly over 30 years old and have been replaced with new columns to take into account changes in legislation for required lighting levels and those unlit areas, such as back lanes, which the council required to be lit. The specified lighting levels have been achieved, the overall energy consumption of the stock reduced and numerous benefits to the community have been provided. The Core Investment Programme was completed in 2008 and the contract is now in its Term Maintenance Phase. 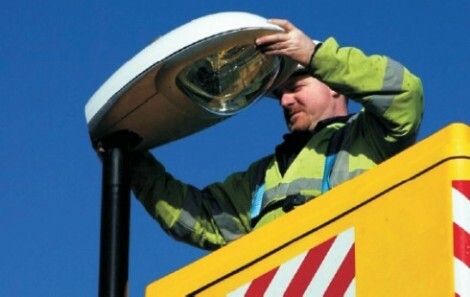 This involves a planned maintenance approach, replacing lamps in street lights on expiry of a specific time period rather than at the point of lamp failure, thereby reducing the number of overall lights out at any point in time. Due to constant technological advancement, a review is currently taking place to assess initiatives aimed at improving the efficiency and carbon footprint of the stock without causing an adverse effect on the night-time environment.